More than half of the UK population is now either overweight or obese – hardly surprising then that so many of us are obsessively counting calories in an desperate attempt to shed those excess pounds. But does counting calories really work? Not according to the statistics! Indeed, a staggering 98% of all diets fail in the long run – so, isn’t it about time that we took a more sensible approach to achieving and maintaining a healthy body weight? If you were to compare the calorie content of an average apple and a biscuit, you’d quickly discover that it’s almost the same. And you’d also understand why calorie counting is such a shortsighted approach to weight loss. One calorie is simply not the same as another – in fact, they are each made in a totally different way and thus have a completely different impact on your body weight, and ultimately your overall health and wellbeing. In other words, you don’t gain weight from eating too many calories, but rather from eating too many of the wrong ‘type’ of calories. The biscuit (and most other processed foods) are made from ingredients, such as refined sugars and carbohydrates, which supply plenty of calories, yet contain zero beneficial nutrients. Which is why the calories that they contain are often referred to as ‘empty calories’. 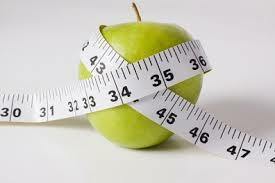 The apple on the other hand, contains calories in the form of valuable nutrients, such as vitamins and minerals. In 2004 the US Center for Disease Control and Prevention (CDC) issued a report that concluded that the meteoric rise in empty calorie consumption in the US over the last 30 years is directly attributable to a corresponding increase in the consumption of carbohydrates (in the form of refined sugar and grain). During this same period, the percentage of obese adults rose dramatically – from 14.5 percent in 1971 to almost 28 percent by 2010. Earlier studies had previously established a link between weight gain and an increased consumption of salty snacks, pizza and other fast foods; in other words, a greater consumption of carbohydrates, mainly in the form of sugar and grain. The consumption of carbohydrates in the form of grain and refined sugars (in particular fructose) thus clearly impacts your ability to achieve and maintain a healthy weight. This is because grain and fructose consumption influences the hormone, insulin, which plays a major role in fat regulation within the body. Healthy fats and protein affect insulin to a much lesser degree so, if you start to reduce your carbohydrate intake by replacing sugar and cereal with ‘healthy’ fats, you’ll rapidly gain control of your weight. Dr. Robert Lustig, an expert who has written extensively about the impact of sugar on the metabolism, argues that fructose is not isocaloric but isometabolic. This means that you can obtain identical amounts of calories from say fructose and glucose, fructose and protein, or fructose and fat, but that the effect of each combination on your metabolism is entirely different, despite containing the same number of calories. Fructose is the most damaging type of carbohydrate there is, because most of it is converted directly into fat, both in your fatty tissue and your liver. Which is why, if you continue to eat grain and fructose, your body will continue to produce and store fat, and calorie counting in isolation simply won’t work. Unfortunately fructose is hidden in the vast majority of processed foods, including food that you wouldn’t expect to find it in, such as sauces, soups, bread, meat, salad dressings, soft drinks and even fruit drinks. In fact, manufacturers are increasingly using it to prolong shelf life or to add cheap bulk. Healthy adults should preferably consume no more than 25 grams of fructose per day, with a maximum of 15 grams derived from fresh fruit. Those with insulin resistance, diabetes, hypertension, high cholesterol or the obese, should restrict their total daily fructose intake to a maximum of 15 grams per day. In order to achieve and sustain a healthy weight you’ll therefore need to avoid the “empty” calories of grains and refined sugars and instead replace them with the beneficial nutrients found naturally in high quantities in organic superfoods. The most effective way of losing weight and keeping it off for good, is by enjoying freshly prepared meals made from organic superfoods. Not only will you benefit from the numerous health benefits linked to these powerful, nutrient-dense foods direct from Mother Nature, you’ll also have far more control over what you’re eating. And by cutting out processed foods, such as takeaways and ready-made meals, you’ll also avoid the primary cause of weight gain: fructose. In addition to substantially reducing your carbohydrate intake from refined sugars and grain, it’s important to simultaneously increase your carbohydrate intake from fresh fibre-rich vegetables, as well as your intake of healthy fats. Those watching their weight often avoid foods that contain fat, however, fat is absolutely crucial for energy production and aids in the absorption of fat-soluble vitamins, including vitamins A, D, E and K. Enjoying sufficient quantities of healthy fat slows down digestion, helps you to feel fuller for longer and prevents you from snacking. Saturated fat is a superior source of energy and although research has often focused on its harmful effects, the distinction was never made ​​between saturated fats and trans fats. More recent research has revealed that it is specifically trans fats – the type of saturated fat commonly found in fried and processed foods – that are harmful to health (Siri-Tarino et al, 2010). Organic coconut oil – scientific research has repeatedly linked the triglycerides found in this aromatic superfood to an increase in metabolism for rapid and sustained weight loss. There are two types of unsaturated fat – monounsaturated fats and polyunsaturated fats. Cacao products – organic cacao products contain a trace element called chromium, which is scientifically linked to a tangible decrease in body fat, and Monoamine Oxidase Inhibitors (MAOI’s), which act as potent appetite suppressors. Acai berries – organic acai berries contain exceptionally low amounts of sugar for a fruit and are crammed with healthy nutrients including fibre and essential fatty acids. Wild African mango – wild African mango is high in soluble fibre and contains a number of unique, fat busting substances, such as adiponectin, which regulates your appetite and signals satiety and leptin, which speeds up your metabolism and increases your glucose absorption.